On March 25, 2015, the Securities and Exchange Commission (the “SEC”) created Regulation A+ by adopting final rules to implement Section 401 of the Jumpstart Our Business Startups (JOBS) Act by expanding Regulation A into two tiers. Regulation A+ has had a notable impact on companies going public. One key benefit of Regulation A+ is that companies using Regulation A+ can comply with scaled down SEC reporting requirements. Tier 1 of Regulation A+ provides an exemption for securities offerings of up to $20 million in a 12-month period while Tier 2 provides an exemption for securities offerings of up to $50 million in a 12-month period. An issuer of $20 million or less of securities in its offering can elect to proceed under either Tier 1 or Tier 2. Tier 1 and Tier 2 of Regulation A+ includes some of the existing provisions of Regulation A concerning issuer eligibility, offering circular disclosures, testing the waters, and “bad actor” disqualification. Regulation A+ modernizes and streamlines the Regulation A securities offering filing process. Regulation A+ includes some characteristics of registered offerings and provides flexibility for issuers in the going public and securities offering process. The exemption also provides for an ongoing reporting regime for certain issuers increasing transparency for investors. Under Regulation A+, Tier 2 issuers are required to include audited financial statements in their offering documents and to file annual, semiannual, and current reports with the SEC on an ongoing basis. With the exception of securities that will be listed on a national securities exchange upon qualification, purchasers in Tier 2 offerings must either be accredited investors, as defined in Rule 501(a) of Regulation D, or be subject to certain limitations on their investment. The requirements for Tier 1 and Tier 2 offerings are described more fully below. Since its effectiveness, Regulation A+ has gained notable market acceptance. Companies using the Regulation A+ exemption have listed on the New York Stock Exchange (NYSE) and NASDAQ stock markets as well as the OTC Markets. issuers subject to “bad actor” disqualification under Rule 262. Regulation A+ limits the type of securities that can be issued to the specifically enumerated list in Section 3(b)(3) of the Securities Act, which includes warrants and convertible equity and debt securities, among other equity and debt securities. Asset-backed securities are ineligible under Regulation A+. Issuers can conduct a Regulation A+ offering using either Tier 1 or Tier 2. Tier 1 is available for offerings of up to $20 million in a 12-month period, including no more than $6 million on behalf of selling securityholders that are affiliates of the issuer. Tier 2 is available for offerings of up to $50 million in a 12-month period, including no more than $15 million on behalf of selling securityholders that are affiliates of the issuer. Additionally, sales by all selling securityholders in a Regulation A+ offering are limited to no more than 30% of the aggregate offering price in an issuer’s first Regulation A+ offering and any subsequent Regulation A+ offerings in the following 12-month period. Regulation A+ limits the amount of securities that an investor who is not an accredited investor under Rule 501(a) of Regulation D can purchase in a Tier 2 offering to no more than: (a) 10% of the greater of annual income or net worth (for natural persons); or (b) 10% of the greater of annual revenue or net assets at fiscal year-end (for non-natural persons). This limit does not, however, apply to purchases of securities that will be listed on a national securities exchange upon qualification of the Regulation A+ Offering. The integration doctrine provides an analytical framework for determining whether multiple securities offerings should be treated as the same offering. This helps to determine whether registration under Section 5 of the Securities Act is required or an exemption is available for the entire offering. Generally, the determination as to whether particular securities offerings should be integrated into a single offering is based upon the specific facts and circumstances. made more than six months after completion of the Regulation A+ offering. Section 12(g) of the Securities Exchange Act of 1934 requires, among other things, that an issuer with total assets exceeding $10,000,000 and a class of equity securities held of record by either 2,000 persons, or 500 persons who are not accredited investors, register such class of securities with the SEC. Regulation A+, however, conditionally exempts securities issued in a Tier 2 offering from the mandatory registration provisions of Section 12(g) for so long as the issuer remains subject to and is current in (as of its fiscal year end), its Regulation A+ periodic reporting obligations. In order for the conditional exemption to apply, issuers in Tier 2 offerings are required to engage the services of a transfer agent registered with the SEC pursuant to Section 17A of the Exchange Act. The final rules also provide that the conditional exemption from Section 12(g) is only available to companies that meet size-based requirements similar to those contained in the “smaller reporting company” definition under Securities Act and Exchange Act rules. An issuer that exceeds the size-based requirements is granted a two-year transition period before it would be required to register its class of securities pursuant to Section 12(g), provided it timely files all ongoing reports due during such period. All issuers that conduct offerings pursuant to Regulation A+ must electronically file an offering statement on Form 1-A on the SEC’s Electronic Data Gathering, Analysis and Retrieval system (EDGAR). Part III: text file attachments, containing the signatures, exhibits index, and the exhibits to the offering statement. Item 1. Issuer Information. Item 1 requires information about the issuer’s identity, industry, number of employees, financial statements and capital structure, as well as contact information. Item 2. Issuer Eligibility. Item 2 requires the issuer to certify that it meets various issuer eligibility criteria. Item 3. Application of Rule 262. Item 3 requires the issuer to certify that no disqualifying events have occurred and to indicate whether related disclosure will be included in the offering circular. Item 4. Summary Information Regarding the Offering and other Current or Proposed Offerings. Item 4 contains indicator boxes or buttons and text boxes eliciting information about the offering. Item 5. Jurisdictions in Which Securities are to be Offered. Item 5 requires information about the jurisdiction in which the securities will be offered. Item 6. Unregistered Securities Issued or Sold Within One Year. Item 6 requires disclosure about unregistered issuances or sales of securities within the last year. 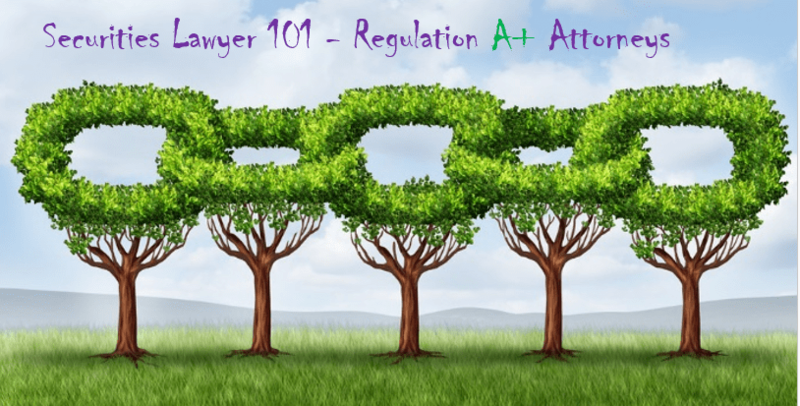 Part II of Form 1-A contains the disclosure document that the issuer will provide in connection with its Regulation A+ offering. This section is also referred to as the “offering circular.” Issuers are required to provide financial disclosure in Part II that follows the requirements of Part F/S of Form 1-A, while they have the option to prepare narrative disclosure that follows one of two different formats. The Offering Circular requires scaled down disclosure in comparison to that required by issuers in registered offerings such as Form S-1. The Offering Circular format is meant to simplify the process by which an issuer prepares its narrative disclosure by limiting the need for issuers to look outside the form for disclosure guidance. Part I of Form S-1 and Part I of Form S-11 contain the narrative disclosure requirements for registration statements filed by issuers in registered offerings. In addition to the Offering Circular format, issuers may provide narrative disclosure in Part II of Form 1-A that follows the requirements of Part I of Form S-1 or, in certain circumstances, Part I of Form S-11. While Form S-1 is generally available for all types of issuers and transactions, Form S-11 is only available for offerings of securities issued by (i) real estate investment trusts, or (ii) issuers whose business is primarily that of acquiring and holding for investment real estate or interests in real estate or interests in other issuers whose business is primarily that of acquiring and holding real estate or interest in real estate for investment. Part I of both Form S-1 and Form S-11 generally describes narrative disclosure requirements by cross-reference to the item requirements of Regulation S-K.
Part II of Form 1-A requires issuers to provide financial statements that comply with the requirements of Part F/S. Part F/S requires issuers in both Tier 1 and Tier 2 offerings to file balance sheets and related financial statements for the two previous fiscal year ends (or for such shorter time that they have been in existence). For Tier 1 offerings, issuers are not required to provide audited financial statements unless the issuer has already prepared them for other purposes. Issuers in Tier 2 offerings are required to include financial statements in their offering circulars that are audited in accordance with either the auditing standards of the American Institute of Certified Public Accountants (AICPA) (referred to as U.S. Generally Accepted Auditing Standards or GAAS) or the standards of the Public Company Accounting Oversight Board (PCAOB). Part F/S requires issuers in both Tier 1 and Tier 2 offerings to include financial statements in Form 1-A that are dated not more than nine months before the date of non-public submission, filing, or qualification, with the most recent annual or interim balance sheet not older than nine months. If interim financial statements are required, they must cover a period of at least six months. agreements; consents; opinion regarding legality; “testing the waters” materials; appointment of agent for service of process; materials related to non-public submissions; and any additional exhibits the issuer may wish to file. Issuers whose securities have not been previously sold pursuant to a qualified offering statement under Regulation A+ or an effective registration statement under the Securities Act such as Form S-1 may submit a draft offering statement for non-public review by the SEC. Consistent with the treatment of draft registration statements in registered offerings, a non-publicly submitted offering statement must be substantially complete upon submission in order for staff of the SEC’s Division of Corporation Finance to begin its review. All non-public submissions of draft offering statements must be submitted electronically via EDGAR, and the initial non-public submission, all non-public amendments thereto, and correspondence submitted by or on behalf of the issuer to the SEC staff regarding such submissions must be publicly filed and available on EDGAR not less than 21 calendar days before qualification of the offering statement. Issuers may commence selling securities pursuant to Regulation A+ once the offering statement has been qualified by the SEC. The SEC’s Division of Corporation Finance has delegated authority to declare offering statements qualified by a “notice of qualification,” which is analogous to a notice of effectiveness in registered offerings on Form S-1. Issuers are permitted to “test the waters” with, or solicit interest in a potential Regulation A+ offering from, the general public either before or after the filing of the offering statement, provided that all solicitation materials include the legends required by the final rules and, after publicly filing the offering statement, are preceded or accompanied by a preliminary offering circular or contain a notice informing potential investors where and how the most current preliminary offering circular can be obtained. An Issuer in a Tier 1 offering must provide information about sales in its offering and to update certain issuer information by electronically filing a Form 1-Z exit report with the SEC no later than 30 calendar days after termination or completion of the offering. An Issuer in a Tier 2 offering must electronically file annual and semiannual reports, as well as current reports and, in certain circumstances, an exit report on Form 1-Z, on EDGAR. Issuers in Tier 2 offerings are required to electronically file annual reports with the SEC on the EDGAR database on Form 1-K within 120 calendar days after the issuer’s fiscal year end. Regulation A+ Form 1-K requires issuers to update certain information previously filed with the SEC pursuant to Part I of Form 1-A, as well as to provide disclosure relating to the issuer’s business operations for the preceding three fiscal years (or, if in existence for less than three years, since inception), related party transactions, beneficial ownership of the issuer’s securities, executive officers and directors, including certain executive compensation information, management’s discussion and analysis (MD&A) of the issuer’s liquidity, capital resources, and results of operations, and two years of audited financial statements. Issuers in Tier 2 offerings are required to electronically file semiannual reports with the SEC on EDGAR on Form 1-SA within 90 calendar days after the end of the first six months of the issuer’s fiscal year. Form 1-SA requires issuers to provide disclosure primarily relating to the issuer’s interim financial statements and MD&A. Unregistered sales of 10% or more of outstanding equity securities. Issuers in Tier 1 offerings are required to electronically file with the SEC on EDGAR certain summary information on terminated or completed Regulation A+ offerings in an exit report on Part I of Form 1-Z not later than 30 calendar days after termination or completion of an offering. Issuers conducting Tier 2 offerings are required to provide this information in Part I of Form 1-Z, if such information was not previously provided on Form 1-K as part of their annual report, at the time of filing information in response to Part II of Form 1-Z. Issuers in Tier 2 offerings that have filed all ongoing reports required by Regulation A+ for the shorter of (1) the period since the issuer became subject to such reporting obligation or (2) its most recent three fiscal years and the portion of the current year preceding the date of filing Form 1-Z may immediately suspend their ongoing reporting obligations under Regulation A+ at any time after completing reporting for the fiscal year in which the offering statement was qualified, if the securities of each class to which the offering statement relates are held of record by fewer than 300 persons and offers or sales made in reliance on a qualified Tier 2 offering statement are not ongoing. In these circumstances, an issuer’s obligation to continue to file ongoing reports in a Tier 2 offering under Regulation A+ would be suspended immediately upon the electronic filing of a notice with the SEC on Part II of Form 1-Z. The “bad actor” disqualification provisions contained in Rule 262 of Regulation A+ disqualify securities offerings from reliance on Regulation A+ if the issuer or other relevant persons (such as underwriters, placement agents, and the directors, officers and significant shareholders of the issuer) (collectively, “covered persons”) have experienced a disqualifying event, such as being convicted of, or subject to court or administrative sanctions for, securities fraud or other violations of specified laws. Understanding the categories of persons that are covered by Rule 262 is important because issuers are required to conduct a factual inquiry to determine whether any covered person has had a disqualifying event, and the existence of such an event will generally disqualify the offering from reliance on Regulation A+. Many disqualifying events include a look-back period (for example, a court injunction that was issued within the last five years or a regulatory order that was issued within the last ten years). The look-back period is measured from the date of the disqualifying event—for example, the issuance of the injunction or regulatory order and not the date of the underlying conduct that led to the disqualifying event—to the date of the filing of an offering statement. Regulation A+ provides an exception from disqualification when the issuer is able to demonstrate that it did not know and, in the exercise of reasonable care, could not have known that a covered person with a disqualifying event participated in the offering. The steps an issuer should take to exercise reasonable care will vary according to particular facts and circumstances. A note to the rule states that an issuer will not be able to establish that it has exercised reasonable care unless it has made, in light of the circumstances, factual inquiry into whether any disqualification exists. Disqualification will not arise if, before the filing of the offering statement, the court or regulatory authority that entered the relevant order, judgment or decree advises in writing—whether in the relevant judgment, order or decree or separately to the SEC or its staff—that disqualification under Regulation A+ should not arise as a consequence of such order, judgment or decree. In addition to qualifying a Regulation A+ offering with the SEC, issuers in Tier 1 offerings must register or qualify their offering in any state in which they seek to offer or sell securities pursuant to Regulation A+. Issuers wishing to obtain information on state-specific registration requirements should contact state securities regulators in the states in which they intend to offer or sell securities for further guidance on compliance with state law requirements. Issuers may also obtain useful information on state securities law registration and qualification requirements, including the option to have Tier 1 offerings that will be conducted in multiple states reviewed pursuant to a coordinated state review program, by visiting the website of the North American Securities Administrators Association (NASAA) at www.nasaa.org . While issuers in Tier 2 offerings are required to qualify offerings with the SEC before sales can be made pursuant to Regulation A+, they are not required to register or qualify their offerings with state securities regulators, Tier 2 offerings by such issuers, however, remain subject to state law enforcement and antifraud authority. Issuers in Regulation A+ Tier 2 offerings may be subject to filing fees in the states in which they intend to offer or sell securities and be required to file with such states any materials that the issuer has filed with the SEC as part of the offering. The failure to file, or pay filing fees regarding, any such materials may cause state securities regulators to suspend the offer or sale of securities within their jurisdiction. Issuers should contact state securities regulators in the states in which they intend to offer or sell securities for further guidance on compliance with state law requirements. For more information about going public and Regulation A+, securities law or our other services please contact Hamilton & Associates Law Group, P.A. 01 Plaza Real S, Suite 202 N, Boca Raton, Florida, (561) 416-8956 or by email at [email protected]. This securities law blog post is provided as a general informational service to clients and friends of Hamilton & Associates Law Group and should not be construed as, and does not constitute, legal and compliance advice on any specific matter, nor does this message create an attorney-client relationship. Please note that the prior results discussed herein do not guarantee similar outcomes. Hamilton & Associates Law Group, P.A provides ongoing corporate and securities counsel to private companies and public companies listed and publicly traded on the NASDAQ Stock Market, the NYSE MKT or over-the-counter market, such as the OTC Pink, OTCQB and OTCQX. For two decades the Firm has served private and public companies and other market participants in corporate law matters, securities law and going public matters. The firm’s practice areas include, but are not limited to, forensic law and investigations, SEC investigations and SEC defense, corporate law matters, compliance with the Securities Act of 1933 securities offer and sale and registration statement requirements, including Regulation A/ Regulation A+ , private placement offerings under Regulation D including Rule 504 and Rule 506 and Regulation S and PIPE Transactions as well as registration statements on Forms S-1, Form F-1, Form S-8 and Form S-4; compliance with the reporting requirements of the Securities Exchange Act of 1934, including Form 8-A and Form 10 registration statements, reporting on Forms 10-Q, Form 10-K and Form 8-K, Form 6-K and SEC Schedule 14CInformation and SEC Schedule 14A Proxy Statements; Regulation A / Regulation A+ offerings; all forms of going public transactions; mergers and acquisitions; applications to and compliance with the corporate governance requirements of national securities exchanges including NASDAQ and the New York Stock Exchange (NYSE) and foreign listings; crowdfunding; corporate; and general contract and business transactions. The firm provides preparation of corporate documents and other transaction documents such as share purchase and exchange agreements, stock purchase agreements, asset purchase agreements and reorganization agreements. The firm prepares the necessary documentation and assists in completing the requirements of federal and state securities laws such as SEC, FINRA and DTC for Rule 15c2-11.